In this episode we check out new tracks from Steve Gunn, Serengeti, Run the Jewels, Jason Isbell, and Pharmakon. As always, we check out a Bob Dylan track, this time from his underrated religious album, “Slow Train Coming.” Check it out HERE or subscribe on iTunes (keyword: BDWPS). This year in music reminds me of the 2011 NBA Draft. There hasn’t been any stand out stars in the releases thus far, but there are a lot of quality albums on the cusp of greatness. Last year, I had no doubt about what albums would make my top five for the mid-year list, but this time around, I moved albums up and down the list indecisively for days, finally settling on the order below. My point: there could be a lot of shuffling when the real list comes out in December. Before getting into 20 albums that you shouldn’t miss out on, here are six honorable mentions that could easily end up being this year’s Jeremy Lin. 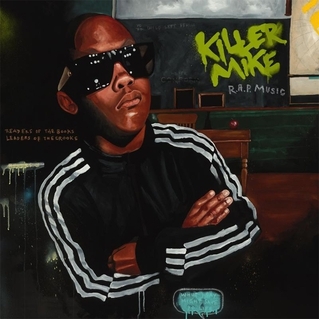 Over his ten-year career that began via collaborations with Outkast, Killer Mike has always approached his lyrics with a vicious drive that is fueled by both passion and intellect (a style he describes as “elegance in the form of a black elephant”), but on “R.A.P. Music” his diatribes take on an even more menacing shape. Last year, I thoroughly enjoyed his album “Pl3dge,” but whenever I listened to it, I always felt it just needed a little something more to make it really pop. It seems that Mike has found that secret ingredient in the form of producer El-P. On this full-length collaboration, the duo combine their talents to create an album that is packed with emotional hills and valleys that will take you through the landscape of rap music over the past three decades.